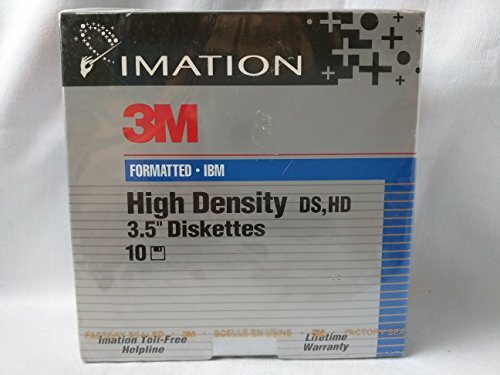 Imation 3M Formatted High Density 3.5" diskettes (Pack of 10). 1.44 MB. Comes with 12 color-coded removeable write-on labels. View More In Floppy Diskettes. If you have any questions about this product by Imation, contact us by completing and submitting the form below. If you are looking for a specif part number, please include it with your message. Diskettes New Basf 2hd DOS Double Sided 3.5"